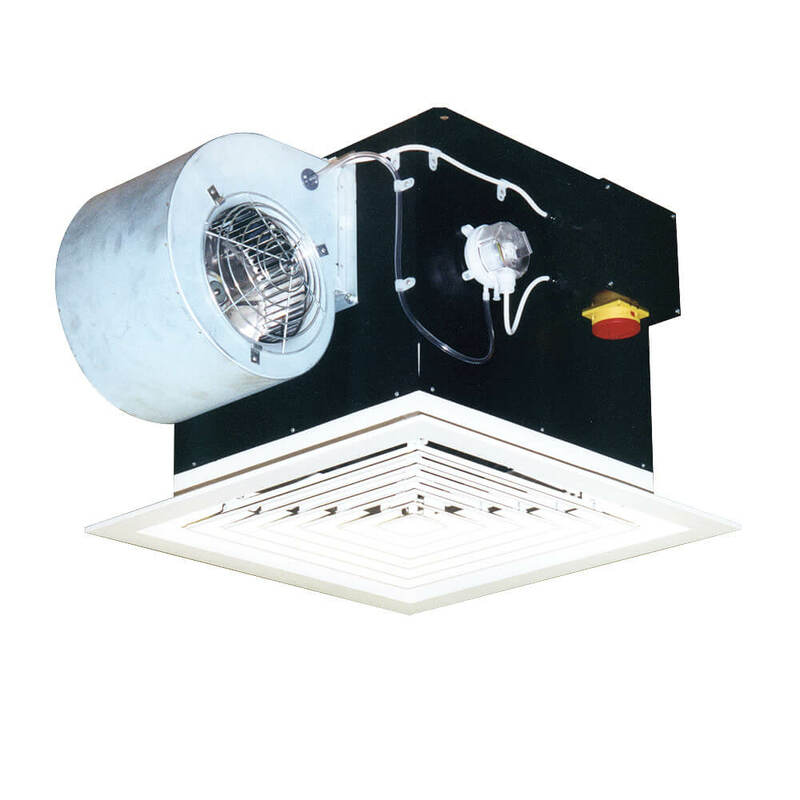 Envirolators are typically installed in suspended ceilings for recirculating redundant air from the void above and controlled by a BMS or unit mounted thermostat. Displacement of air, which accumulates in a ceiling void, back into the room space. Heating air from the ceiling void and transferring it back into the room.